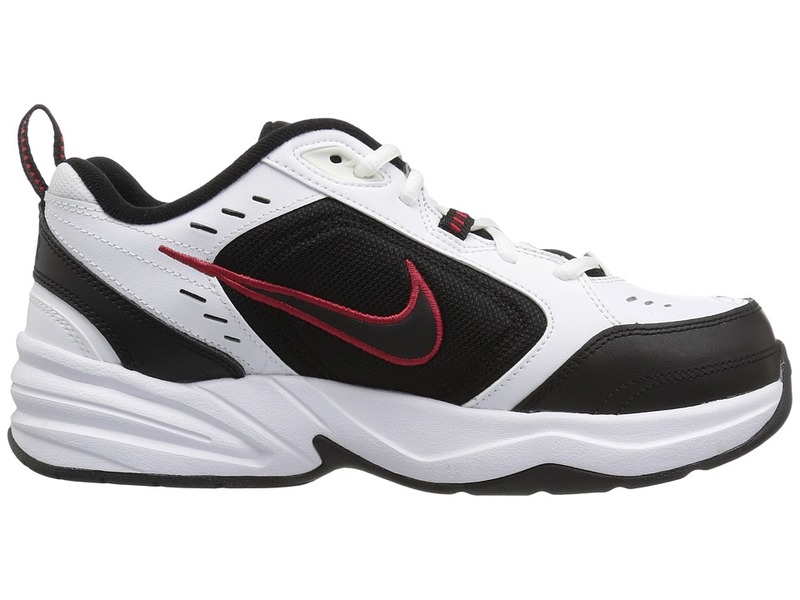 Get the royal treatment every time you train in the Air Monarch IV from Nike. ; Please Note: Width is only printed on the shoebox. The width does not appear on the physical item. 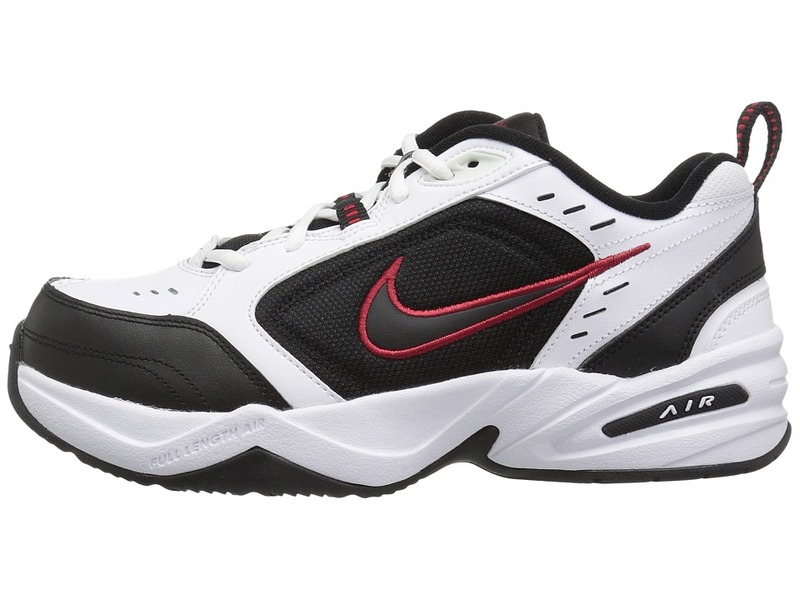 ; Features an excellent alternative for the person looking for great cushioning in a comfortable, reliable upper. ; Choose from all leather uppers or combination leather and mesh uppers (dependent upon color chosen). All Leather: White/Metallic Silver/Midnight Navy, Black/Black. Leather and Mesh: White/Black/Varsity Red, White/Cool Grey/Anthracite/White. ; Leather overlays provide durability and support. ; Heel pull tab for easy on and off. ; Mesh tongue enhances breathability. ; Internal fabric lining for ultimate comfort. 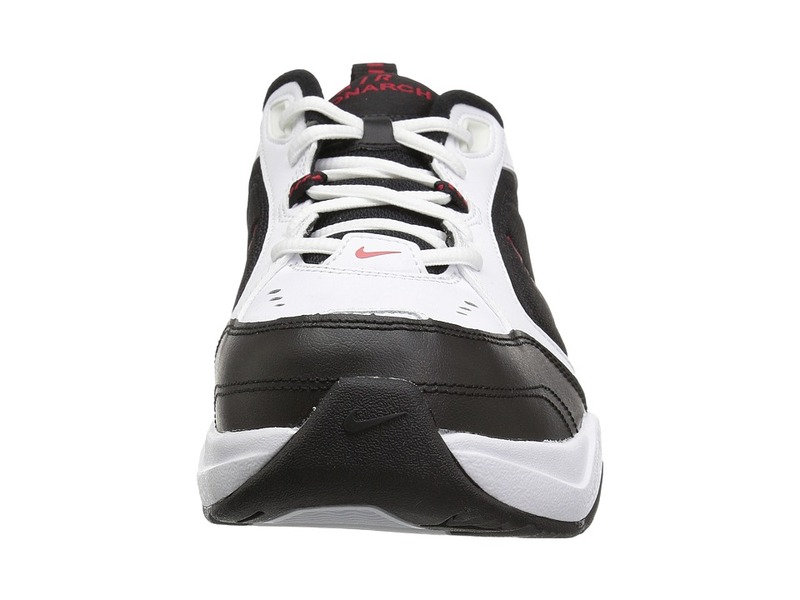 ; Full-length Phylon midsole offers lightweight cushioning. 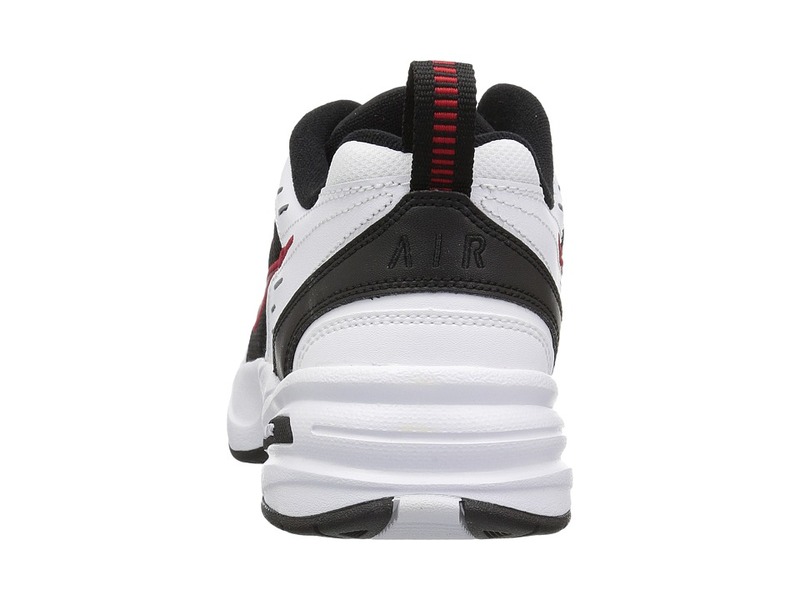 ; Full-length Air-Sole unit for excellent cushioning and a smooth ride. ; Outsole wraps up the toe for protection and durability. ; Flex-grooves for forefoot flexibility. 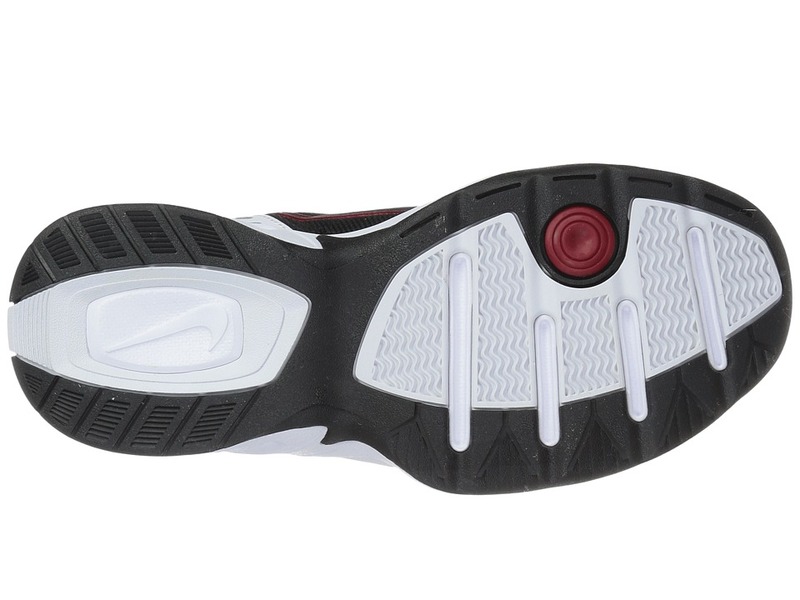 ; Hybrid outsole with pivot-point for traction on a variety of surfaces. 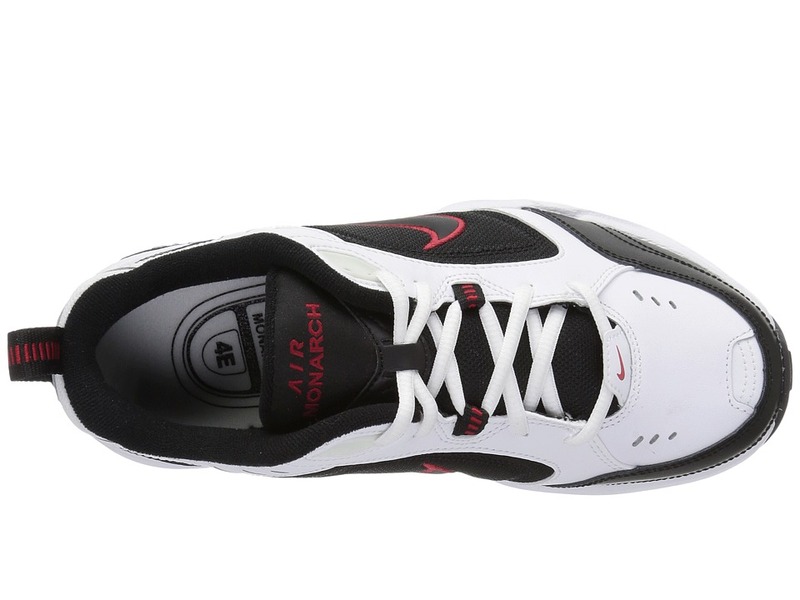 ; Non-marking, solid rubber outsole. Measurements: ; Weight: 15 oz ; Product measurements were taken using size 10, width D – Medium. Please note that measurements may vary by size. 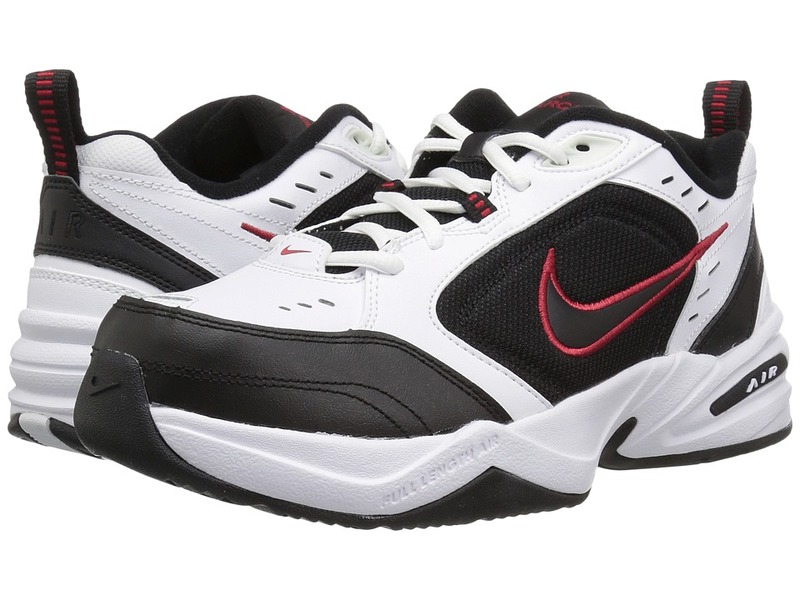 Be the first to review “Nike Air Monarch IV Men’s Cross Training Shoes” Click here to cancel reply.